Finally fluttering the lashes of its 360-degree eyes over the rest of Hong Kong’s Polytechnic University is the recently finished Jockey Club Innovation Tower. 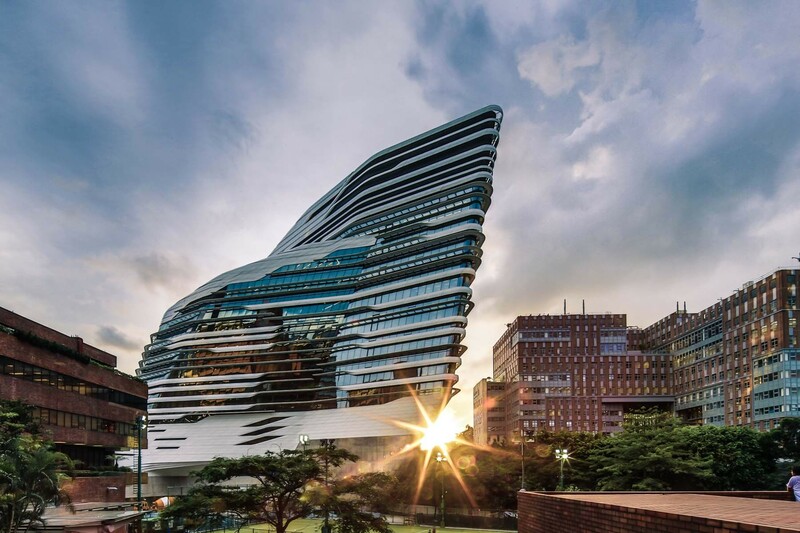 Designed by starchitect Zaha Hadid, the 15-story high tower boldly reflects the imaginative spirit of design held by the students and exhibits within. Beyond designing a functional and suitably innovative building for PolyU’s School of Design, Hadid’s goal with this massive tower was to infuse creativity into the walls to inspire students from every direction. She has accomplished this by avoiding the cliche that towers must be symmetric and submissive, encouraging students to be flexible in their definitions of contemporary design. Inside, the Tower feels more like a museum than a stuffy, conventional university hall. Upon stepping through the grand entrance, a long rising escalator slices through the upper levels. This affords students the opportunity to enjoy a panoramic view of the exhibits above and below as they ascend. Each level’s 360-degree windows bring in light, fresh air and views of the surrounding city. Besides many classrooms, the Tower also holds several studios, workshops, galleries and even a museum. The Hong Kong Polytechnic University has significantly grown in recognition and size throughout the decades, with the Innovation Tower being one of its latest accomplishments. The Tower’s shifting translucent levels allude to the school’s changing perception that breaks with convention in hopes of accelerating the creativity of the campus. While already open and in use, the Innovation Tower will have its grand opening in March 2014. 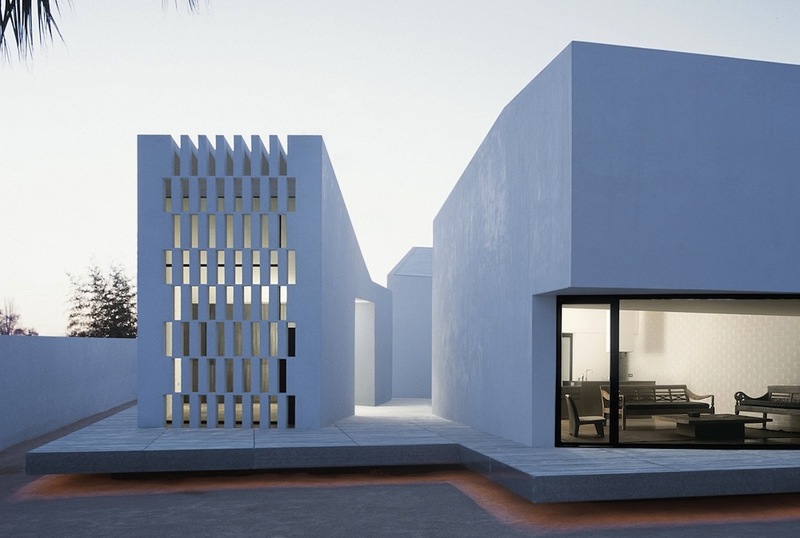 Designed by 3LHD Architects, the contemporary House U lends itself as a new fixture to the Dalmation Coast in Croatia. Designed by KameleonLab’s architects Rafal Specylak and Kuba Wozniczka, the Black Cube House in Wroclaw, Poland was born as an extension of a simple 1970s house on the property. The clients goal was to transform the modest estate into a full-figured modern home that doubled the amount of living space, preserved the original structure and created a dramatic entryway and terrace.